White Plains, N.Y. on April 30, 2019 – May 2, 2019. Join us and be inspired and reinvigorated as you learn about current practices to help our children, families, communities, and stakeholders in promoting healing, restoration and building resiliency! Use the quantity setting below to select the number of attendees you want to register with your order. Then please fill out the information in the Registrant forms below for each attendee. 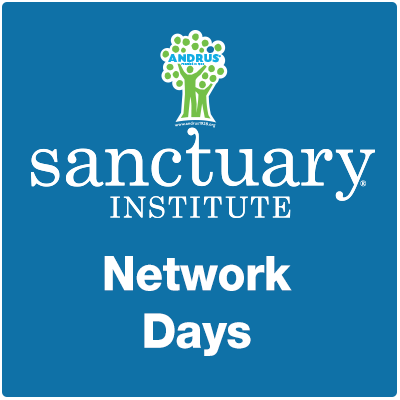 The Sanctuary Institute is pleased to announce our Sanctuary Network Days Conference 2019, to be held in White Plains, N.Y. on April 30, 2019 – May 2, 2019. Our theme this year, Evolution: The Transformation of Resilient Organizations, focuses on the sharing of transformative experiences and strategies among our network agencies in the practice of the Sanctuary Model®. Organizational leaders, educators, and their communities will gain opportunities to connect, provide hope, and build sustainability via the application of various trauma-responsive practices during dynamic sessions and workshops.